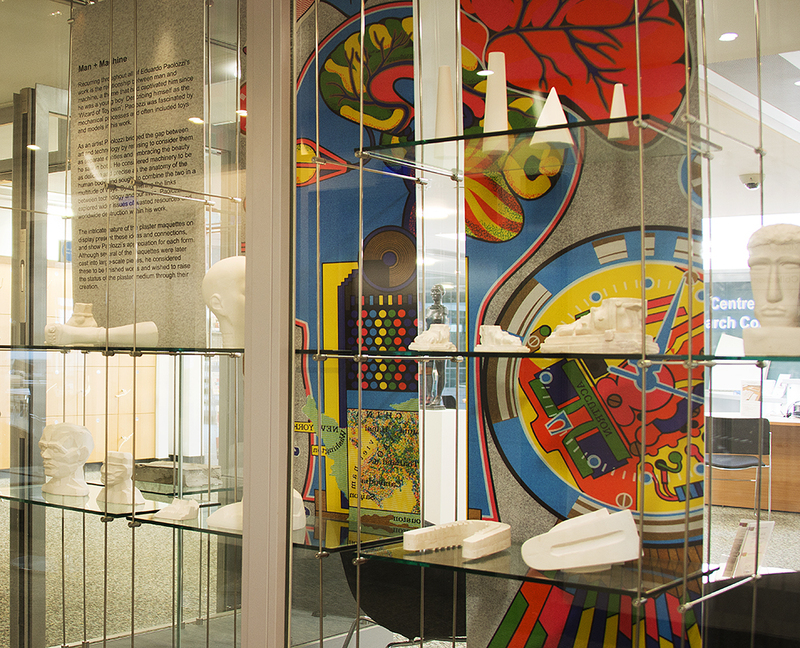 The Centre for Research Collections is showcasing a selection of maquettes from Paolozzi’s major bequest to the University’s Informatics Forum. A founder of the Pop Art movement, sculptor Sir Eduardo Paolozzi was born in Leith, 1924. After attending classes at the Edinburgh College of Art he went on to shape a considerable career teaching sculpture and ceramics at a number of institutions, whilst establishing his artistic reputation world-wide. 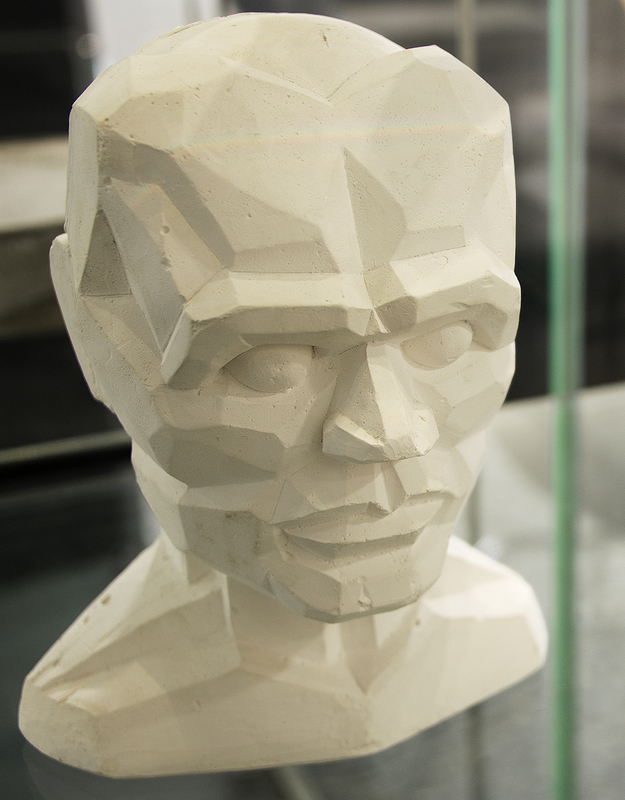 The culmination of an extensive preventative conservation project, the CRC exhibition focuses on Eduardo Paolozzi’s colossal production of plaster maquettes and his obsession with the relationship between mankind and technology. Also on display is Paolozzi’s bronze sculpture of world-famous entertainer Josephine Baker, taking centre-stage in the foyer of the CRC.